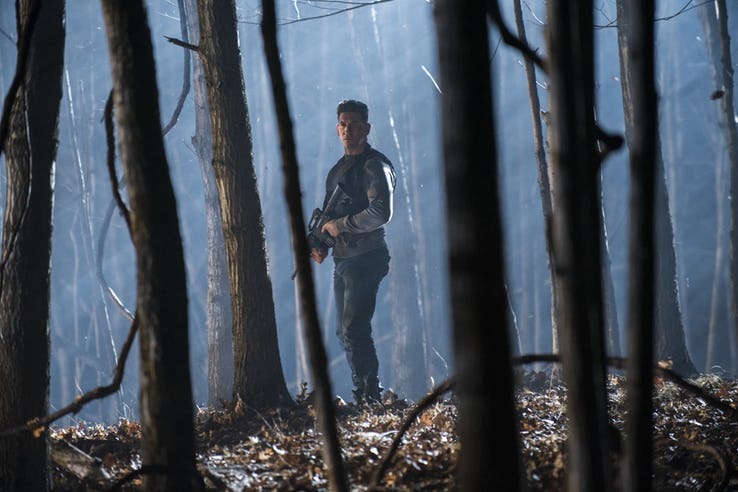 Marvel’s The Punisher Season 2 has a lot of good things going for it, but is ultimately dragged down by an unfocused bunch of episodes late on. Light spoilers follow. I was surprised at how good the first season was. 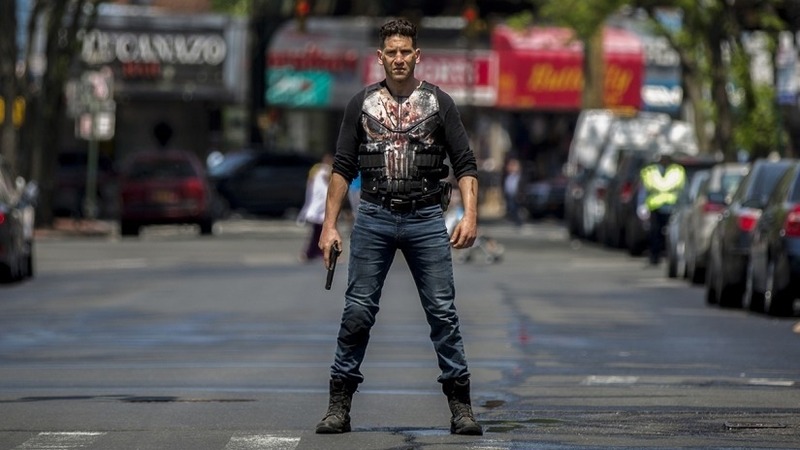 I had written off Netflix’s decision to green-light a Punisher show as soon as it was announced, as it seemed like an opportunistic attempt to capitalise on the character’s fantastic debut in Daredevil Season 2. However, I was proved wrong as Season 1 of The Punisher delivered an excellent show that had way more depth than I expected. Yes, the action scenes were brutal and the revenge plot against Billy Russo and others who had killed his family was engaging, but it also delved into the psyche of the war veteran, showing us how hard it really was for soldiers to acclimatise to the real world after returning from the battlefield. It was more than I had any right to expect from a show about a character that goes around brutally murdering anyone who breaks the law. That layer of depth doesn’t return for Season 2, but Frank Castle’s sophomore season is still largely entertaining. The title character is well-written and superbly acted by Jon Bernthal, the action scenes are appropriately brutal and gory and Ben Barnes delivers a fantastic performance as an unhinged Billy Russo who no longer remembers what he did to make Castle so mad at him. Josh Stewart is also captivating as the season’s new villain, John Pilgrim, a holy man with a dark past working for some powerful and despicable people. Unfortunately, the writing and performances of some of the other supporting characters are found lacking. While Curtis and Mahoney are great, and teenager Amy (played by Giorgia Wigham) starts to grow on you after a frustrating first few episodes, others didn’t land so well. Debora Ann Woll is good in what will likely be her final turn as Karen Page, but there was absolutely no reason to include her other than to remind you that this is connected to the other Marvel Netflix series. Homeland Security agent Dinah Madani is a little more relatable this season as she struggles to move on from her encounter with Russo in last season’s finale, but I still found her unlikable and annoying. Russo’s therapist Dr. Krista Dumont has a surprisingly large role but none of her development and motivations feel particularly earned. She’s only there to give Billy someone to bounce off in his more vulnerable moments. Beyond that, I would just sit through her scenes waiting for them to end so I could get back to watching Frank, or any other likeable character. This echoes, The Punisher‘s biggest problem is failing to juggle its primary and secondary plotlines correctly. Fans assume that Russo is the main villain of this season as he looks to take revenge on Frank for messing up his face and giving him amnesia. But it’s unclear whether or not showrunner Steve Lightfoot agrees. It seems that he does at first. 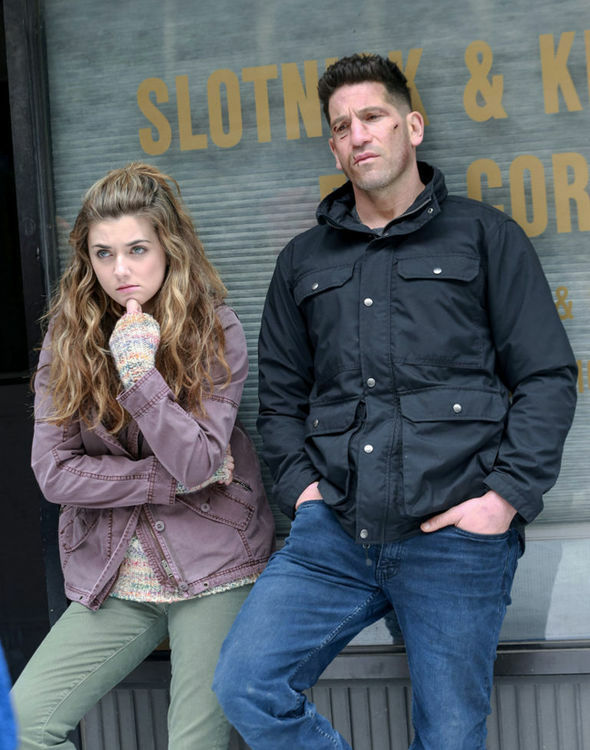 The show starts off with Billy recovering from his injuries, while The Punisher gets involved with the B storyline that has the new baddie John Pilgrim hunting down Frank and Amy. It makes for an entertaining and mysterious beginning to the season while Billy’s story quietly builds in the background. About halfway through the season, Billy comes roaring back into Frank’s life and it looks like the show will focus on the two of them for the rest of the show’s run, dealing with Pilgrim in the run up to the finale so we can focus on a conflict between Punisher and Jigsaw. Perhaps that was the plan, but then something changes along the way. It becomes clear that Lightfoot and his writers are more interested in Pilgrim and his bosses’ motivations than they are Billy Russo. As a result, the focus is taking off of Billy and shined on Pilgrim and his employers. While Pilgrim is interesting and entertaining, the rest of the story around him just isn’t as engaging as a rematch between Castle and Russo. Frankly, it shows and I found myself wishing we could just get back to Billy Russo whenever the focus was elsewhere. This ultimately leads to underwhelming ending to the conflict between the two characters and left me with a bitter taste in my mouth as the season ended, reflecting on what could have been. I can only imagine what Ben Barnes was thinking when he first read the script. Unfortunately, that feeling will only continue as we await the show’s inevitable cancellation in a few weeks, like Daredevil, Luke Cage and Iron Fist before it. That said, I could absolutely watch more seasons of this show. There will always be something appealing about Frank seeking out more bad guys to kill in brutal fashion. But the focus should have been on Billy this year, with the new villains more of a side show. We didn’t get that. As a result, Frank Castle doesn’t quite get the send off he deserves.